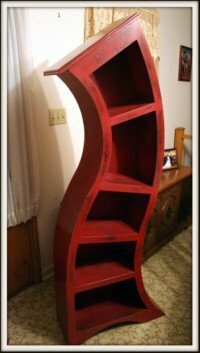 Very cool bookshelves for kids rooms. 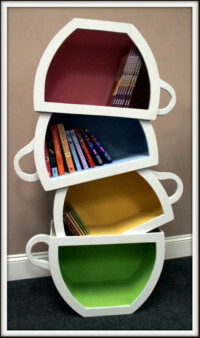 Dr.Seuss bookshelf, stacked teacups bookcase, dragon themed bookshelf and many other awesome childrens bookshelves! 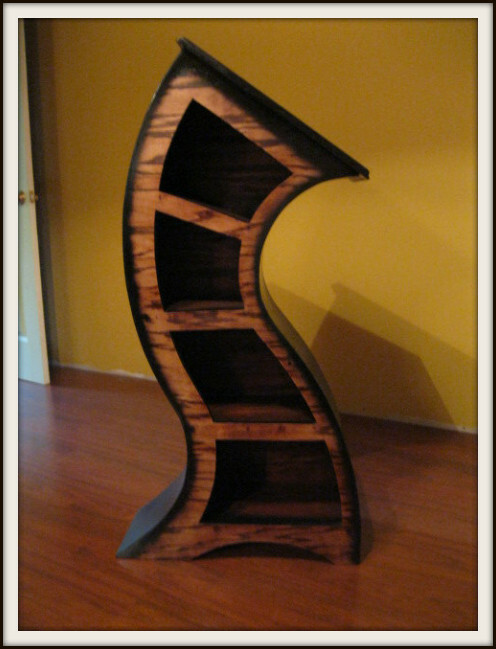 Beautiful handmade in the USA, curved bookshelf...Built of 3/4" oak plywood with a stain and black lacquer finish. This piece is original and will compliment any room. Features an edge routed, solid oak top. Stain shown is red oak, but different stain shades can be specified. The black lacquer sides are applied in several coats and hand polish between applications. 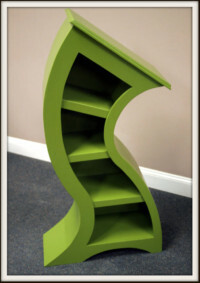 Very unique, 4 feet bookshelf finished in green enamel and constructed of hardwood plywood from my original design. This piece will spruce up any boring room and make it's own statement! Would also make a nice addition to a child's themed room. This piece was inspired by the Dr.Seuss books...This is an all original design, one of a kind piece. It is huge standing at 6ft tall! I hope you enjoying viewing as I did creating. A one of a kind original piece. Smooth flowing curves with a slight impression of a musical instrument. Being a father of two young daughters, I was inspired to add a paint scheme of my own design reminiscent of something you may find in the Disney film Tangled. A perfect piece for all those little princesses out there or the older ones at heart. Thanks for looking and hope to hear from you soon! I need to sale this piece quickly so I am offering this at a great discounted price. I constructed the cups to have depth by staggering the front face, so one appears to be capped inside the other. The item pictured is sold. If you are very interested in purchasing this piece please contact me. You may specify your own colors. Thanks for looking! Overall height is 4ft. This crayon coin bank features an all hardwood plywood construction with a full color high quality, printed, vinyl decal. Decal covers only the front and side portions of the box. Box bottom, inside, and back are bare plywood. Crayon coin banks are made of thin plastic and measure 22.5" x 2.5" Diameter. Overall dimensions are 27" x 11" x 3.5". This would make a great addition to any kids room. 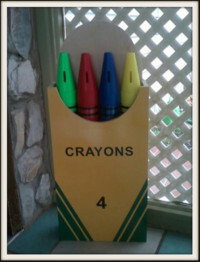 I am considering creating a larger version that would included bigger, higher quality crayon coin banks. Please contact me with any interest in the item pictured or if you would like a quote for a larger version. Item is ready for immediate shipment!! 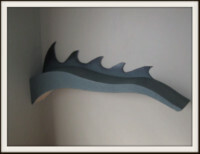 Very unique and original piece, would go great in a child's themed room or simply a person into dragon designs. 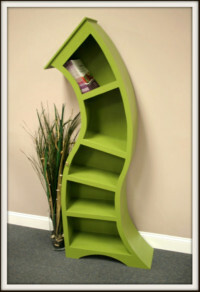 The shelf measures 43"L x 17"H x 5-3/8"D and features a greenish textured finish to somewhat simulate scales. Edges are accented with black lacquer. Email with any questions or comments.